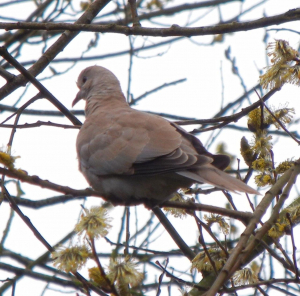 Observation - Dove - UK and Ireland. Description: Presumably a juvenile as no collar visible. Also looks very pink: not sure if that is a juvenile feature. Presumably a juvenile as no collar visible. Also looks very pink: not sure if that is a juvenile feature.